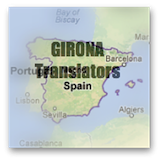 Below is a complete list of all the Costa Brava camping sites in L’Estartit and Torroella de Montgri. BUT before you look through the list of Torroella de Montgri and L'Estartit camping sites...please click here to open in a separate window...How The Camping Costa Brava Accommodation Directory Works? Want to see if L’Estartit is the beach for you? Take a look at the pictures of L’Estartit and sneak a peek at the beach webcam. 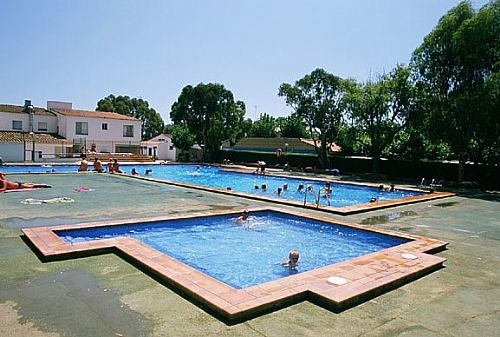 Location: This Costa Brava camping site is on the outskirts of the town of L’Estartit. 20 minutes walk to the beach, 20 minutes walk to the main shopping area. Description: There are mobile homes, pre-assembled tents, electric and non-electric pitches. 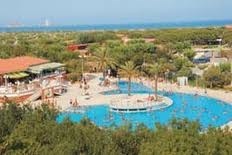 3 swimming pools (with slides), tennis court, mini golf, adult and children entertainment, organised excursions and a disco. Dogs allowed (but not in hired accommodation). Location: Just behind El Mas Pinnel beach. 20 minute drive to L’Estartit. Description: There are apartments, bungalows, mobile homes, electric and non-electric pitches. Medical services, billiards, trampolines, children’s playground, adult and children entertainment, organised excursions, disco, swimming pool (with separate area for children), tennis court, mini golf, supermarket (& other shops). Dogs allowed (but not in hired accommodation). Location: On the outskirts of L’Estartit (near Els Griells Estate). 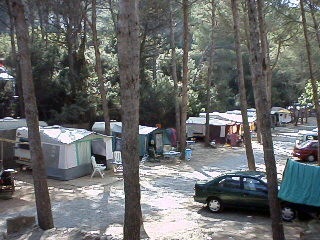 This Costa Brava camping site is just behind Els Griells beach. 20 minutes walk to the main shopping area. Description: There are apartments, studios, electric and non-electric pitches. Medical services, bar, restaurant and supermarket (also sells camping equipment). Dogs allowed (but not in hired accommodation). Location: Sheltered and shady, situated in a crevasse at the foot of the Montgri Massif. 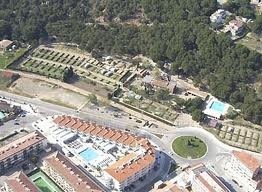 This Costa Brava Camping site is 150m from the shopping area of L’Estartit and 350m to the beach. Description: There are apartments, canvas bungalows, pre-assembled tents, hire caravans, electric and non-electric pitches. Mini supermarket, bar, swimming pool (with separate area for children), children’s play area, adult and children entertainment. Location: This Costa Brava camping site is in L’Estartit. 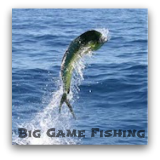 10 minute walk to the beach and 20 minute walk to main shopping area. Description: There are bungalows, electric and non-electric pitches. Medical services, games rooms, children’s playground, adult and children entertainment, swimming pool (with separate area for children), restaurant, bar, supermarket. 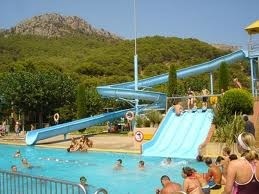 The La Sirena Scuba Diving centre is located in the campsite. Dogs allowed (but not in hired accommodation). Description: There are bungalows, electric and non-electric pitches. Children’s playground, adult and children entertainment, disco, swimming pool (with separate area for children), restaurant, bar, supermarket, mini golf and tennis courts. Dogs allowed (but not in hired accommodation). Location: This Costa Brava camping site is 2km south of L’Estartit. 10 minutes walk to Els Griells beach, 30 minutes walk to the main shopping area. Description: There are bungalows, electric and non-electric pitches. Children’s playground, adult and children entertainment, therapies (sauna, massage), swimming pool (with separate area for children), indoor swimming pool, restaurant, bar, supermarket, basketball, five-a-side football and tennis courts. Dogs allowed (but not in hired accommodation OR at height of season). 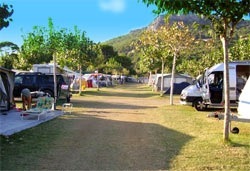 Location: This Costa Brava camping site is in L’Estartit. 15 minutes walk to the beach, 15 minutes walk to the main shopping area. Description: There are apartments, bungalows, electric and non-electric pitches. Medical services, restaurant, bar and supermarket. Dogs allowed (but not in hired accommodation). Location: This Costa Brava camping site is 4km from L’Estartit. Description: There are mobile homes, electric and non-electric pitches. Medical services, restaurant, bar, swimming pool (with separate area for children) and children’s playground. There is a supermarket just outside the campsite grounds. Dogs allowed (but not in hired accommodation).